Support Home Paya Virtual Terminal How To How do I find the transaction approval code in the Virtual Terminal? 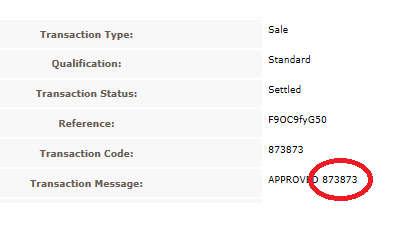 Where in the Virtual Terminal can I find the approval code for a transaction? To find the code for a particular transaction, we must begin by finding the transaction. 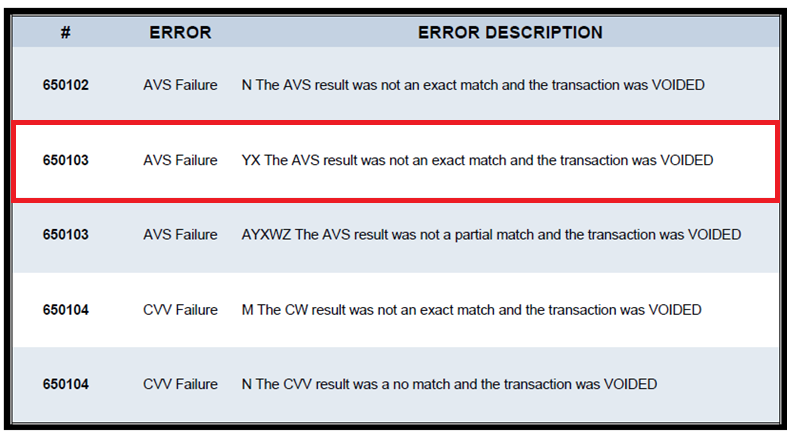 Two common ways to do this are via the Quick Actions search box, or via the Transaction Search or Transaction Activity options within the Reporting menu. Usually, the authorization code from the Transaction Message field will match the number in the Transaction Code field, directly above it - but this will not always be the case. This is where the difference between the Transaction Message and Transaction Code is especially important. Merchants who offline (Force) transactions with an incorrect authorization code run a very high risk of chargeback.